22-year-old from Milan, Italy Patrizia Lucia Bosco will give a try for the much prestigious national pageant, the Binibining Pilipinas 2017. This half-Italian half-Pinay beauty was 2014 Mutya ng Pilipinas-Overseas Community. The mother of Patrizia is from Alimodian, Iloilo while her Italian father was the former government official in Italy. This 5'10" stunner is under the protégée of JDV beauty camp ( John dela Vega). Her smile and charm transcend language and cultural barriers. What interesting about Pat is that she knows how to speak Italian, French, German, Spanish, little bit of Japanese and also Filipino and Ilonggo dialects! What Bb. 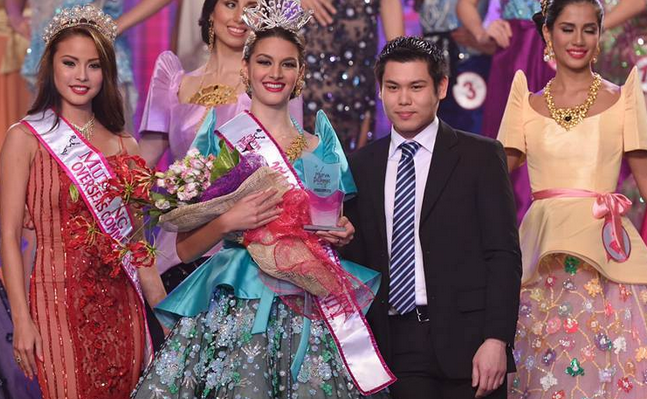 Pilipinas title will you give to Patrizia Bosco?